This section provides access to all the data included in PFR². They are open access and free of use, but please remember to cite PFR² if you make advantage of them. Users are able to download all the sequences and metadata associated included in PFR². Users can also download specific regions of the sequences to develop primers or probes. 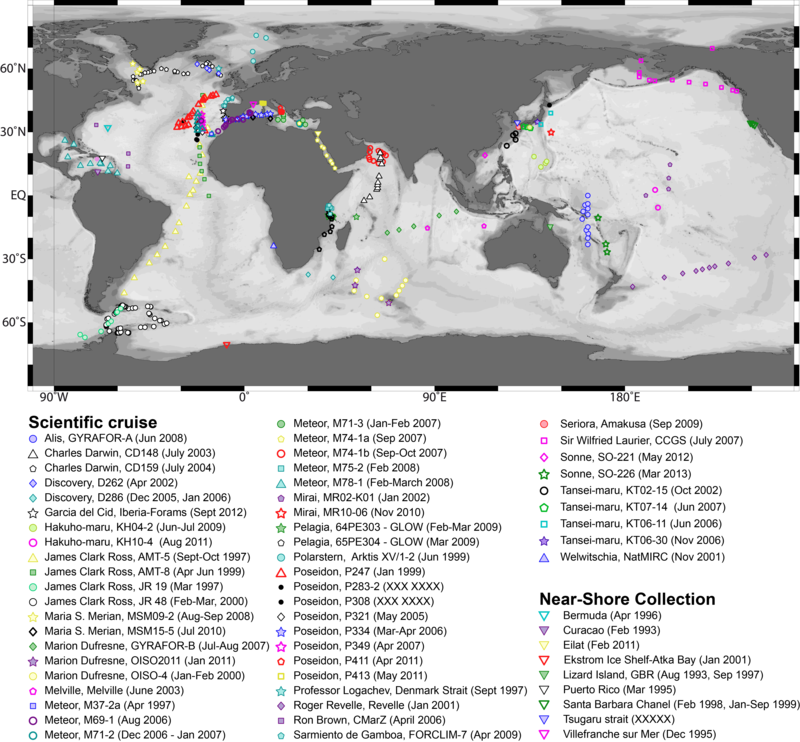 Location of the 460 oceanic sites sampled worldwide included in PFR2 [Download]. All metadata linked to sequences present in PFR2 (tabulated text file) [Download].